In today’s musing, I review the history of gold, silver, and fiat currency as money in the United States of America. I document how various wars, panics and depressions, Congressional acts, and executive orders have affected the US dollar prices of precious metals and resulting gold-silver ratios. This musing covers the period from 1792 when the United States government first established a national currency backed by gold and silver until August 1971 when Nixon floated the US dollar against gold and world currencies. In a subsequent musing, I will document the record of gold-silver ratios in the floating fiat currency market from late 1971 to the present. Let’s review the history of gold and silver as money in the United States of America from 1792 until 1971. This 179-year history is largely a record of government attempts to control the supply and demand of silver and its US dollar price in relation to the set price for gold. Note that gold and/or silver were commonly used as real monetary instruments or “specie” by many governments from the 1700s thru the late 1900s. In 1787, the United States Constitution gave Congress the power to coin money and to regulate its value. Furthermore, this iconic document prohibited the States from making “any instrument other than gold or silver a tender in payment of debts”. A bimetallic monetary standard was formalized in 1792 with the Mint Act. It set the gold to silver price ratio at 15:1, deeming gold to be valued at $19.39/oz and silver at $1.29/oz. The Coinage Act of 1834 devalued silver; gold was set at $20.65/oz while silver remained at $1.29/oz, for a ratio of 16:1. Gold remained fixed within a few pennies of this price until the havoc of the Great Depression 100 years later. In 1859, the Comstock Lode was discovered in Nevada and the US silver supply increased significantly within just a few years. Although the increasing amount of silver did not have an immediate impact, it eventually led to oversupply and debasing of the silver price during the 1870s. To finance the Civil War against the Confederacy in the 1860s, the Union printed volumes of currency without backing by precious metals. The result was severe indebtedness and a soaring silver price that reached $2.94 in 1864. Silver remained historically high for over a decade and its price relationship with gold was negatively skewed. The Coinage Act of 1873 effectively de-monetized silver in the US, created weakness in demand, and along with significant Comstock Lode production, led to a steady declining price. By 1877, the silver price was lower than its previous fiat of $1.29. Subsequently, the Sherman Silver Act of 1890 attempted to boost the price by requiring the government to buy silver and mint coins. This ill-conceived action and a run on gold by foreign investors were significant contributors to the Panic of 1893 when silver lost 16% for the year. The Gold Standard Act of 1900 completely abandoned bimetallism. From 1900 to 1933, the US dollar was fully backed by gold and paper notes could be exchanged for gold on demand. Silver continued on its steady decline that ultimately lasted from 1864 until the end of World War II. During the stock market bubble of 1907 and the two-year depression it begat, silver lost 29%. With exception of four years during and after World War I when war debts piled up again, silver continued to decline in price. It lost 26% in the wake of the Crash of 1929 and reached its nadir of 25 cents at the depths of the depression in 1932. The price of gold, though supposedly still fixed at $20.65, averaged $26.33/oz in 1933 as bank runs and failures led to zero confidence in the dollar as money. The US government attempted to solve its problem via Congressional acts in 1933 and 1934 that ended conversion of paper notes into gold and made ownership of gold coins and bullion illegal. Roosevelt drastically lowered the amount of gold backing the US dollar and set the price at $35.00/oz, a devaluation of nearly 70%. With the Bretton Woods agreement in 1944, all major industrialized countries adopted the United States dollar as the world’s reserve currency backed by gold. All international settlements were in dollars, other currencies were fixed to the dollar, the dollar was pegged to gold at $35, and foreign governments could convert dollar reserves into gold at that rate. The average price of gold then remained in the $34-35 range until 1968 with one exception, averaging $31.69/oz during the severe recession of 1949. Meanwhile, the price of silver steadily increased post-WWII. It gained 58% in 1945 and continued to increase in price to the early 1960s. 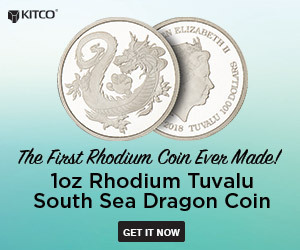 It was artificially capped at the historic price of $1.29/oz by US government sales from 1963-1966 to discourage hoarding and/or melting of coins. The Coinage Act of 1965 ended the minting of silver dimes and quarters in the United States and debased the silver content of half dollars from 90% to 40%. Silver was eliminated from this coin in 1970. As the US balance of trade became increasingly negative and the dollar weakened in the late 1960s, gold and silver increased in value. With the dollar severely overvalued with respect to gold and other major currencies, the Bretton Woods agreement began falling apart when West Germany left in early 1971. In a series of three dollar devaluations from August 1971 to August 1973, Nixon raised the price of gold against the world’s reserve currency. His first order ended the conversion of US dollars into gold by foreign governments, mainly France and Switzerland, thus halting depletion of Fort Knox gold reserves. gold were allowed to float freely on world exchanges. And at that juncture, the world money game became a new paradigm. Since demise of the gold standard in 1971, precious metals prices have soared and so has the gold-silver ratio. The historic gold-silver ratio of 15:1 was set by the government from 1792-1833 and increased to 16:1 in 1834. During and after the War of 1812, precious metals prices rose as fiat currency was created to finance war costs, accounting for the blips in those years. Massive inflation of the currency supply occurred during and after the Civil War. Although the gold price remained set at $20.65, silver prices were significantly higher and the ratio reached an historic low of 7:1 in 1864. Silver was higher priced and ratios were less than 16:1 until 1877. With the de-monetization of silver in 1873, its price was allowed to float resulting in the Au:Ag ratio averaging about 20:1 until the Panic of 1893 when it spiked sharply upward. With gold still fixed at $20.67 an ounce and silver prices significantly lower and vacillating , the ratio maintained a level in the 30-40 range until the costs of war once again wreaked havoc on the monetary system from 1916-1919. The stock market crash of 1929 and the ensuing depression caused a plummeting silver price. The gold-silver ratio was wildly volatile and in a parabolic spike, went over 80 in 1932. When Roosevelt devalued the dollar by raising the gold price to $35/oz ounce in 1934, a new relationship with much higher ratios was established. Silver prices were generally under 50 cents and the yearly Au:Ag ratios were anomalously high during the depression and World War II. The all-time high for gold to silver reached 98 in 1939. The Bretton Woods Agreement in 1944 and the end of WW II in 1945 resulted first in a steep drop and then continuously declining ratio in the late 1940s to early 1960s as silver prices increased without pause. By 1963, they had reached their contained metal value in US coins. To prevent hoarding of coins and melting them into bullion, government silver sales from 1963-1966 kept the price at $1.29/oz and the gold-silver ratio at 27:1. When coinage of silver was abandoned post-1965, its price climbed significantly and Au:Ag averaged less than 20:1 from 1967 to 1970. With a single two-month exception, it has never seen those low levels again. But let’s save further discussion for next week. In that missive, I will document nearly 45 years of a post-gold standard economic paradigm in which the world’s reserve currency is backed by nothing but an insolvent, debt-ridden government’s promise to pay.